OLD BETHPAGE, Long Island (WABC) -- The search is on for the man police believe is behind several robberies on Long Island. Nassau County police released a sketch of the suspect wanted for robbing a 7-11 in Old Bethpage last Thursday. It happened just after midnight, and he was wearing dark sunglasses and a bandanna on his face. The man was armed with a knife when he threatened a worker and took off with cash. 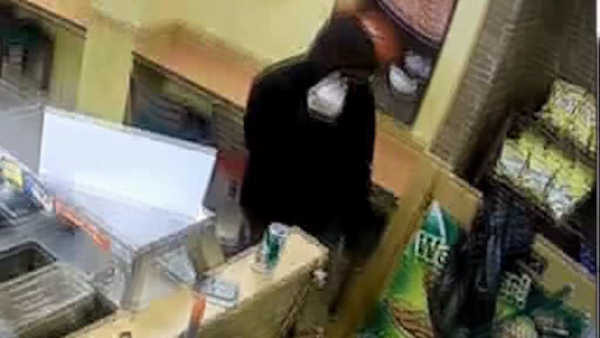 Authorities say the same man robbed three Dunkin' Donuts in Nassau County over the last month. Nassau police are working to determine if he may be responsible for additional robberies, possibly part of a string of more than 20 such acts since Feb 9, 2015. From Feb. 9, 2015, to mid-January of this year, a hooded, knife-wielding man, usually hiding behind a ski mask or scarf, robbed 21 small businesses - mostly gas stations and convenience stores. Those robberies occurred in seven Nassau communities, including 13 in Valley Stream.